Oh, let me count the ways how I love thee! Jody is an incredible writer. I also posted a review on Amazon about her book, but I, too, loved this book from the very first word to the very last. What have I learned from Jody. I've learned that you can juggle a very busy life and still manage to write, learn to write better, and write some more, AND she has proven she can get published with an incredible novel. Her blog is an amazing wealth of information for all writers. Congratulations, friend! I learned this week what your next book is about, and let me say, I CAN'T WAIT! This book is next on my reading list...can't wait! What I've learned from Jody: Don't let any opportunities pass you by because of fear or laziness. I agree with your review! I loved this book. Jody taught me generosity in blogging. She was one of my first, if not THE first, followers of my blog, and I quickly noticed she reached out to every blogger who crossed her path. It really impressed me. Have a great weekend, Wendy!! Oh wow, Wendy!! I'm overwhelmed by your blog post today! I think you're going to make me cry! :-) And I truly think the learning is a two-way street. I've learned SO much from everyone. And that's the beauty of blogging and gaining friendships and then being able to spur one another on! So thank you all for your friendships and for teaching me so much! 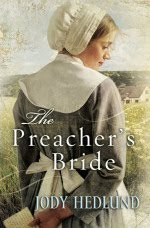 Historical fiction isn't the type of book I normally read either, but I am a huge fan of Jody and there was not way I wasn't going to not read this masterpiece! Did I say, I LOVE IT already! Good review, Wendy. I've been following Jody's blog for quite a while now and have followed the development of her book. She has done very well. Your question - What have I learned from her social networking? Goals and discipline. She seems to be a pacesetter in both areas, without neglecting other important aspects of her life (like her faith and famiy). Jody is candid about her struggles and humble in her triumphs - I'm so grateful to have her as an example of "how to act" in the publishing world. Thanks for the interview! I've been following Jody's blog since...pretty close to the beginning :)and I've learned a lot from her. Primarily not to give up and give it your all. Can't wait to read this book! Wendy, I enjoyed your review. Well done!! Wow! What have a learned from Jody? Heaps!!! She's one of my role models. I admire her generosity and how genuine she is. I admire her talent as a writer. I appreciate her skill as a critiquer. She pushed me to make my story better, and I'm every so grateful. I can't wait to read it. Jody is the best! She's honest, vulnerable, disciplined, humble, helpful, and just plain sweet. For starters. Her blog is ever so helpful. And I can't wait to meet her. This day is not long enough to tell you what I've learned from Jody and the writing journey. The main lesson: Don't Give Up In The Hard Times. She's a living example of that, and has encouraged me personally when I was ready to call it a day on my literary path. I LOVED PB! Even found myself praying for the main character. Now, that's a stirring book! Great post! Jody's posts are informative and show great organization and willpower!